SEOUL, Aug. 31 (Yonhap) — Boy band Pentagon will release a new extended play next month, returning to the K-pop scene as an eight-piece group without two of their original members. The seventh EP, “Thumbs Up,” is scheduled to be released Sept. 10, Cube Entertainment said. Two of the original 10 members — E’Dawn and Yan An — will not be part of the upcoming album, according to the management agency. Earlier in the month, E’Dawn acknowledged his romantic relationship with his label mate HyunA and has since withdrawn from the TV appearance. The other Chinese member has, meanwhile, stepped away from the band due to health issues. 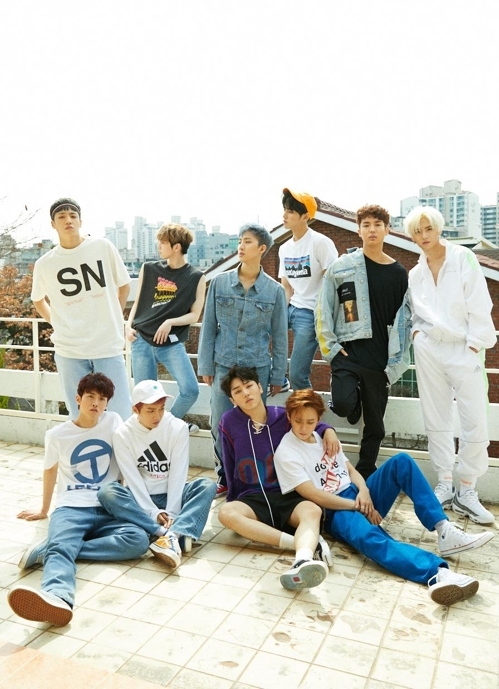 The upcoming record is Pentagon’s latest album since its sixth EP named “Positive,” released in April, whose main track “Shine” was a solid hit.